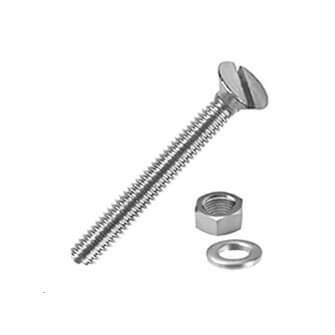 Machine screw with countersunk slot head and fixings manufactured from 316 marine grade stainless steel (A4-AISI). Complete with full nut and plain washer. Countersunk head for a neat and tidy flush fit.